I have just read your article about the netting of trees by developers, writes Aileen Egan. While it is interesting to read and gratifying that you are aware of the problem, there is no mention of what if being done to stop this despicable practice. 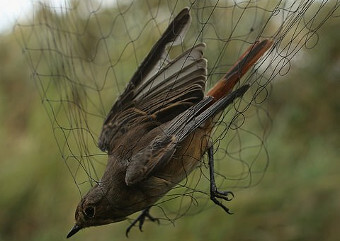 Surely, despite the spurious fact that the developers are not technically breaking the law as they have prevented the birds nesting, there must be some law that prevents the trapping of birds in this netting? I am also waiting for a response from the RSPB on this issue.